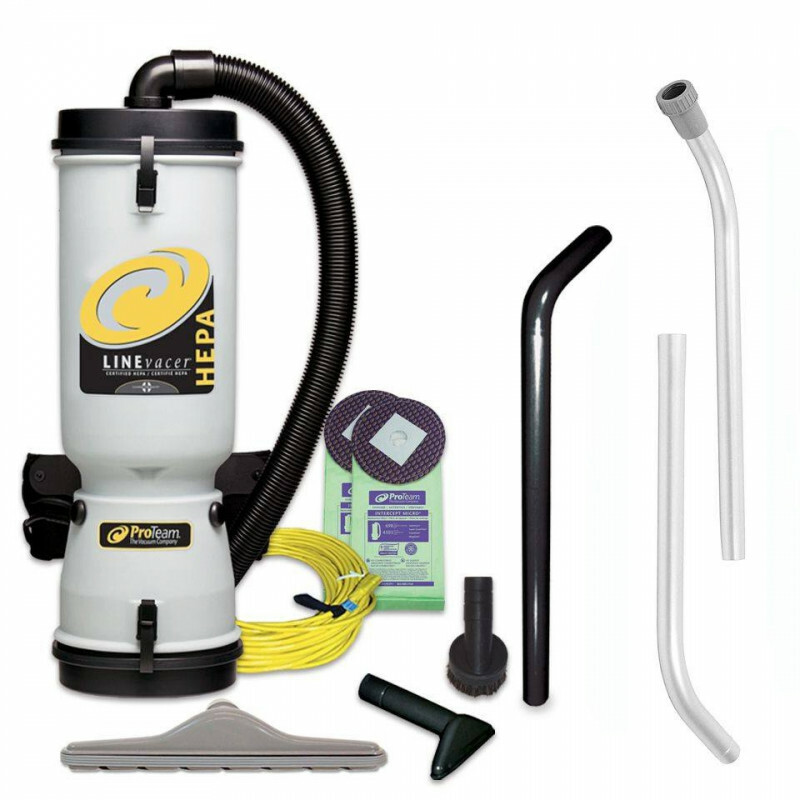 This 10 quart (2.5 gallons) LineVacer backpack vacuum from Pro-Team is great for mold removal due to its 4-stage filtration system with a HEPA filter. With a 50' power cord, you get an extremely portable toxic recovery vacuum. It can recover such delicate materials as pollen, dust mites, lead, asbestos and mold particles. The HEPA filter has an efficiency rating of 99.97%, where all particles 0.3 microns or larger are recovered. The 1½" tool kit includes a static-dissipating vacuum hose, two Intercept Micro® Filters, 50’ extension cord, 3" dust brush w/ reducer, 5" upholstery tool, 14" floor tool w/ scallops, 36" one-bend bulk pick-up tool, 56" two-piece two-bend aluminum wand w/ button lock. Besides being used in the mold remediation industry, like the rest of our mold recovery vacuums, the LineVacer can be used for recovery of materials in sensitive areas. Great for vacuuming delicate equipment that can be found in computer labs, medical facilities and clean rooms. With the backpack model, you can freely move and clean lots of areas in a relatively small amount of time. The only restriction you have is the 10 quart bag that comes with the vacuum. When recovering large amounts of toxic materials, you may want to take a look at our 6 gallon certified mold remediation vacuum, and our 17 gallon flood restoration mold vacuum. These vacs can handle much larger volumes of debris before being dumped. 4 level filtration with a companion HEPA filter recovers toxic mold particles without exhausting them back into the air. 10 quart disposable bag is easily removable for disposal in sensitive environments. Recovers mold, lead, asbestos and other toxic materials for safe disposal. Silver Seal of Approval from the Carpet and Rug Institute (CRI). 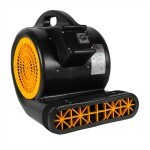 The ProTeam LineVacer mold recover backpack vac is backed by 3 year commercial warranty on the parts, labor and motor. 3 year commercial warranty on the parts, labor and motor. This is a review for the Mold Removal Backpack Vac with HEPA Filtration.